The history of the Kalash is shrouded in mystery. 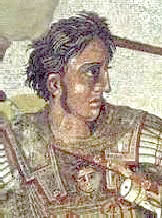 A long held romantic view is that they are descended from the deserters of Alexander the Great’s army, but there appears to be little concrete evidence to support this theory. The Kalasha themselves say they are descended from a General Shalakshah in Alexander’s army. According to Professor Paolo Graziosi, Professor of Anthropology and Prehistory at the University of Florence, in an abridged text published in the Illustrated London. News, March 30th 1963, the Kalash have purely Europoid traits reminiscent of Mediterranean or, under certain aspects, Alpine peoples. He found the Kalasha to have light skin, sometimes light coloured eyes, regular features and were of medium height. Some of the women he found truly beautiful. According to Wazir Ali Shah in his ‘Notes on Kalasha Folklore’ (Selected Papers from the first Hindu-Kush Cultural Conference) the Kalasha themselves state that they are descended from the sixteenth and youngest son and daughter of Adam. They were married to one another and the place they first settled in was called Tsiam. To date no one has located the country or region of this name. Peter Parkes, in his thesis ‘The Social Role of Historical Tradition Among the Kalasha Kafirs of Chitral’, states that in ‘Kalasha History’ there are a number of fragmentary ‘Creation Stories’, which in his view, are clearly borrowed from Islam. Wazir Ali Shah goes on to state that the Kalasha believe that God had kept the three Kalash valleys as his own preserve and then gave it to their ancestors when they were unwilling to marry. He also refers to the popular belief among foreign historians, that the Kalasha are descended from the soldiers of Alexander. He mentions that, in records to Alexander’s campaign in the Hindu Kush, there are accounts of skirmishes with pagan tribes with a culture similar to the Kalasha. Other scholar, including G.A. Grierson and Ghulam Murtaza, think that possibly the Kalasha inhabited the area between lower Bashgul Valley and Ghaga Serai (in Afghanistan) for approximately three centuries. Then, around the tenth and eleventh century A.D, they were driven north towards Chitral by the Bashali Kafirs. In his book ‘Bolor and Dardistan’, Jettmar puts forward a number of parallels between the Kalasha and other remote tribes. He mentions that there is a possible relationship between the wooden images of the Kafirs and those made on western Nepal. Jettmar also draws a link between goat worship among the mountain tribes of Iran and the region of the Karakorams in the east where there is intense goat breeding, and the Kalasha who are famous for their peculiar rites and beliefs connected with wild and domestic goat. With the help of Wazir Ali Shah, who translated some relevant portions of a history called ‘Tarik-e-Chitral’, by the Persian scholar Ghulam Murtaza, Gillian Darling records that, during the first millennium B.C., the whole area of Chitral (which, according to Jettmar, is close to two important migration routes used by the Indo-Aryan invaders-the Oxus-Wakhan Corridor in the north and the Kabul valley in the south), was controlled by the early Darian Iranians. The Chinese assumed power in the first Century B.C. They were overcome in the second century A.D. by the Kushans under the King Kanishka. Under the Kushans, Budhism flourished along with the early pagan religions of the region. During the seventh century A.D., much of the area was invaded by Arab forces and converted to Islam. The Kalasha, themselves, are believed by Murtaza to have arrived in the Chitral area in the tenth century, and came from the Bashgal region which is now Afghanistan. They had been pushed out by other Kafir tribes who in turn were being pressed by invading Islamic armies from the west. Darling goes on to say that in Kalasha oral histories, ‘Tsiam’ is their traditional home. One theory put forward is that it is the town of Chaga Serai in eartern Afhganistan, but Darling is doubtful of this. According to the Kalasha, Tsiam is reputed to be the original home of both General Shalakshah and the Kalasha ‘Messenger of God’- during the winter solstice – the festival of ‘Chau-Maus’. Again, according to Darling, the Kalasha oral histories mention a place called ‘Yarkhan’. Yarkhan was an ancient Buddhist centre which is now in the Chinese western province of Sinkiang. A number of beliefs and institutions of the Kalasha are thought to have originated there. Whether the Kalasha, as claimed by Morganstierne, did indeed move from Tsiam to the Wagul valley to the Chitral area or not, it is obvious, if one reads Robertson’s classic work on the area, that the Kafirs of Nuristan (Eastern Afghanistan) and the Kalasha, who inhabitedthe area east of the Durand Line, are closely related. When this author was in the valley of Waigul, in Nuristan, a village elder told me that he believed the Waigalis, who say that many centuries ago their people migrated to the Kalasha valleys (the Kalasha also give the same story) are descended from the kurds. The Kurds, too, believe they are descended from a regiment of Alexander’s army. They are also of Aryan appearance, are mountain people and are goat herders. Having travelled across Turkey and Syria, this hypothesis seems to me to have some credibility.